Students are always confused about OPT and STEM extensions etc. 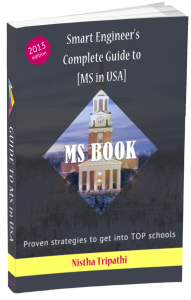 because these directly impact how easily you are able to work in USA because admit it, one of the foremost reasons for pursuing MS in USA is to get a job there afterwards. Let’s look at some simple things you need to know about these without getting into the complications. However, it is better to ensure that the program you are applying for is STEM validated before you apply if that is your major concern. Frankly, I do not care that much. When I was applying for jobs, there were no OPT extensions. These things sometimes boil down to chance. What matters more to me is that there are good opportunities to be availed in USA and that is something I cannot say about Europe. Earlier the students were provided with 17 months of additional OPT, which has now been extended to 24 months. This means that now you can hunt for jobs for up to 3 years (1 original + 2 years additional) after graduation. Why is it needed? Because to work in USA, you need to get H-1B visas. And number of H-1B visas allotted each year are less than the number of people applying for those (selected based on random lottery system). So, sometimes students graduated from MS programs are not able to get the H-1B. To give more time to these students, the government decided to extend the OPT so that they can try their luck at lottery again. We have discussed CPT and OPT in detail in the MS Book if you shall be interested in exploring further. Hi! Thank you very much for Info. Just as you had written an article about MS data science/ business analytics, I was wondering if you could write an article about MS in financial engineering/ quantitative finance. SS helped me a lot during the application process. In addition to the help provided by Nistha, the SS community added more value to the package.